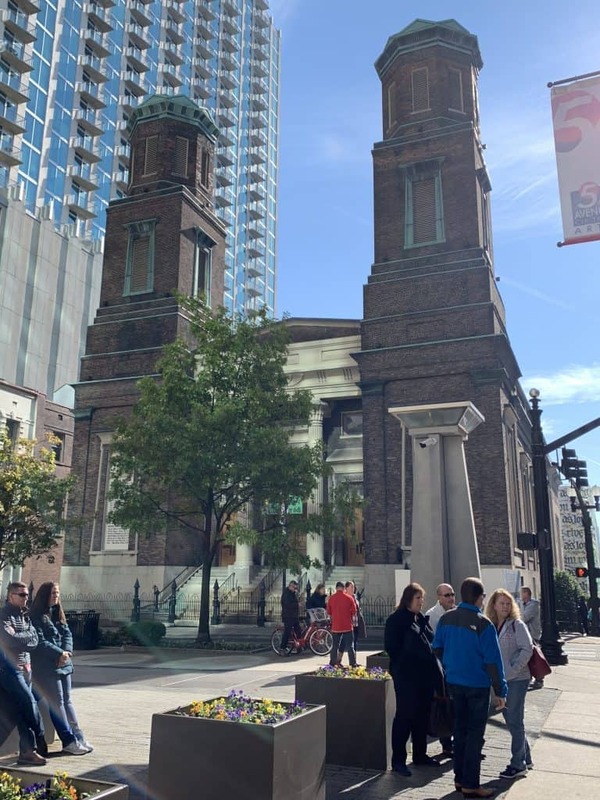 My list of 16 things to do, eat and see in Nashville, Tennessee is not comprehensive, but will give you a good start to getting to know this country music city with hidden European charm. In mid November, my husband was scheduled to go to Nashville to work at the Country Music Association Awards (CMAs). When I mentioned to my good friend, Gail, that I was considering flying to Nashville, she urged me to go. Disclosure: I was hosted at the Hermitage hotel, and given a complimentary ticket at the Country Music Hall of Fame and the Frist Museum. I paid for all other food and entertainment. 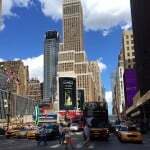 She sent me an email with her recommendations, and I must say that her exuberance really piqued my curiosity about this city. Like me, she admitted that she wasn’t a huge country music fan. Given this, I took Gail’s advice and booked a flight. BNA, Nashville’s international airport is only a 20 to 30 minute car ride to/from downtown. There is a bus available, but I went via Lyft. (I’ve had horrible service from Uber, so I prefer Lyft.) 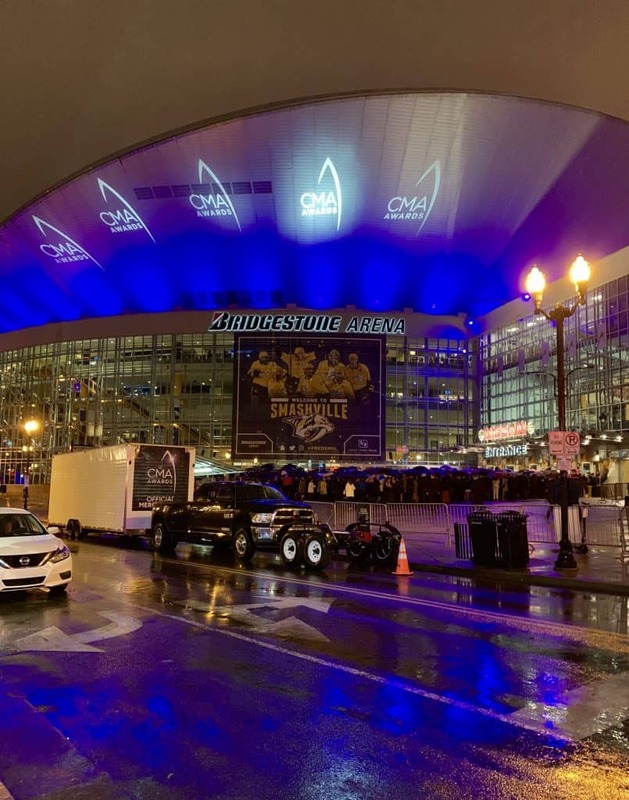 The Country Music Award show was on the evening I arrived so the city was hopping. It was also unseasonably cold and raining. Guess who forgot to bring gloves and a hat? I was brave and still walked to the restaurant in the cold rain! On my way, I passed by all the country music stars being dropped off for the CMAs. I had no idea who anyone was, but there was a small (brave, cold and wet) crowd who were watching and cheering across the street. At one point there was a massive cheer, so I asked one of the onlookers who had arrived. He told me it was Garth Brooks and Trisha Yearwood. 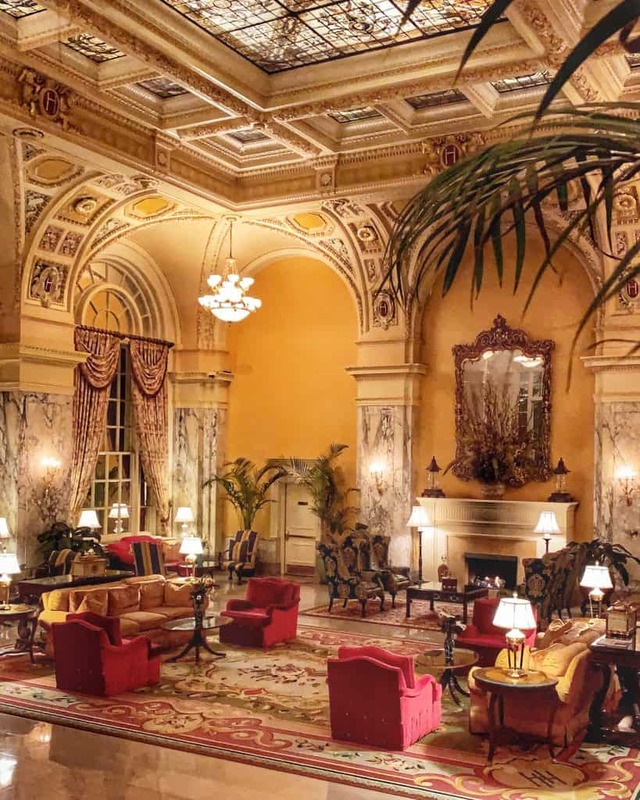 As you probably know from my last travel post, I stayed at the Hermitage Hotel while I was in Nashville. 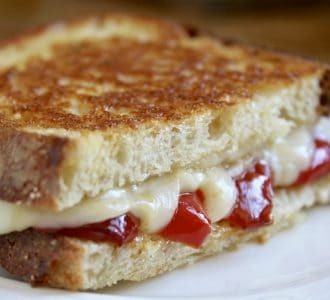 That brings me to the first on my list of 16 things to do, eat and see in Nashville, Tennessee (which are presented in no specific order). Note: I’ve added two places that I wasn’t able to see myself due to being closed or needing reservations. 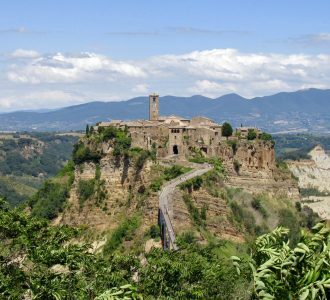 However, they were places which came highly recommended and I had wanted to visit. A link is included for all but one of the highlights below. Most of them are in the title. 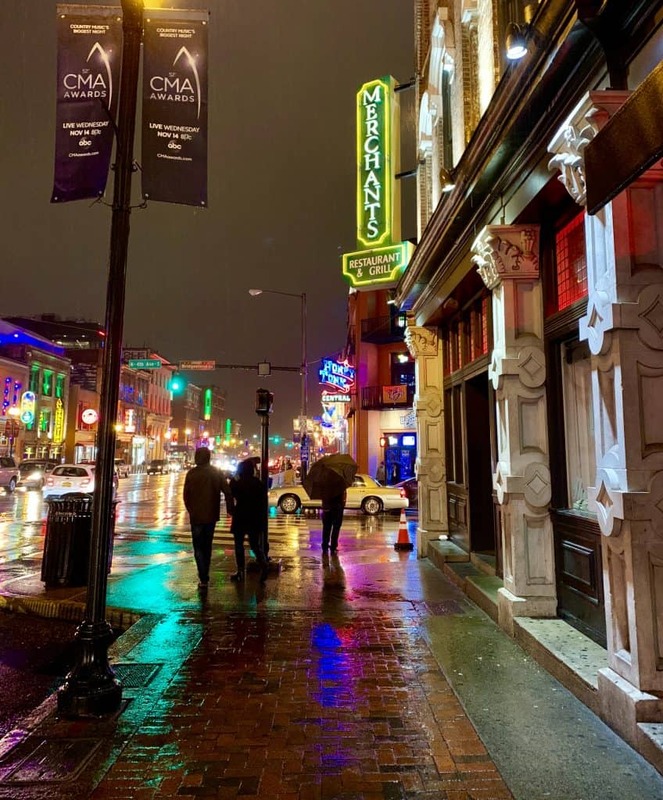 Enjoy my list of 16 things to do, eat and see in Nashville! Of course, I’d recommend staying at the Hermitage Hotel, but even if you don’t, you simply must see this architectural masterpiece! 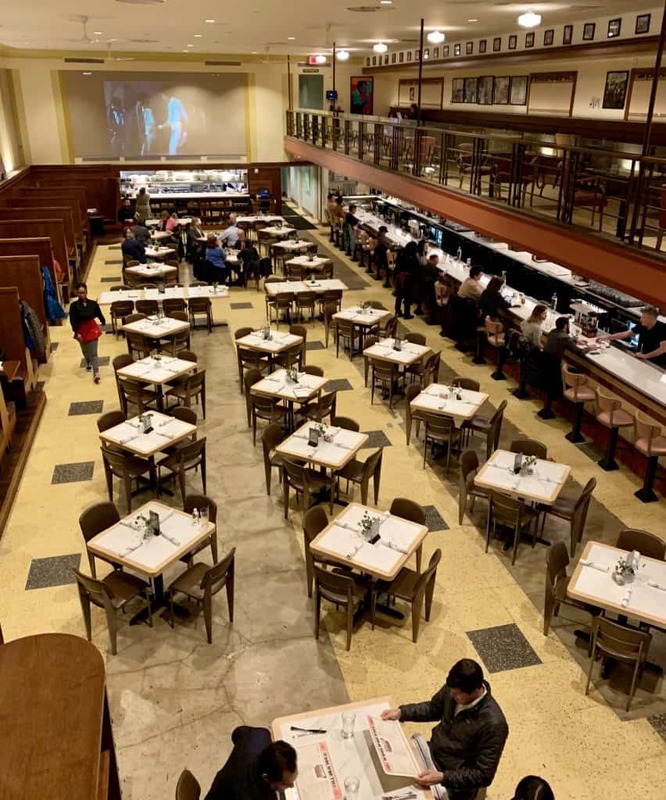 You could also pop in for a drink in the Oak Bar, or have dinner at the Capitol Grille. You never know who you’ll run into (Reba McEntire was dining there when I was having dinner). 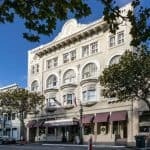 For more information, simply go to my post about this historic hotel. 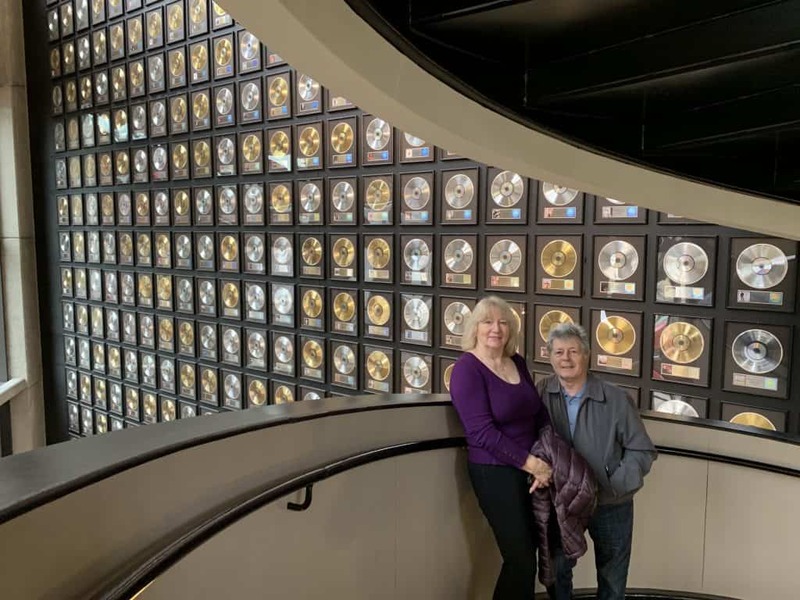 As I noted above, Gail had told me not to miss the Country Music Hall of Fame and I took her advice. I enjoyed it so much, I wanted to share the experience with my parents, so I went a second time and brought them, too. 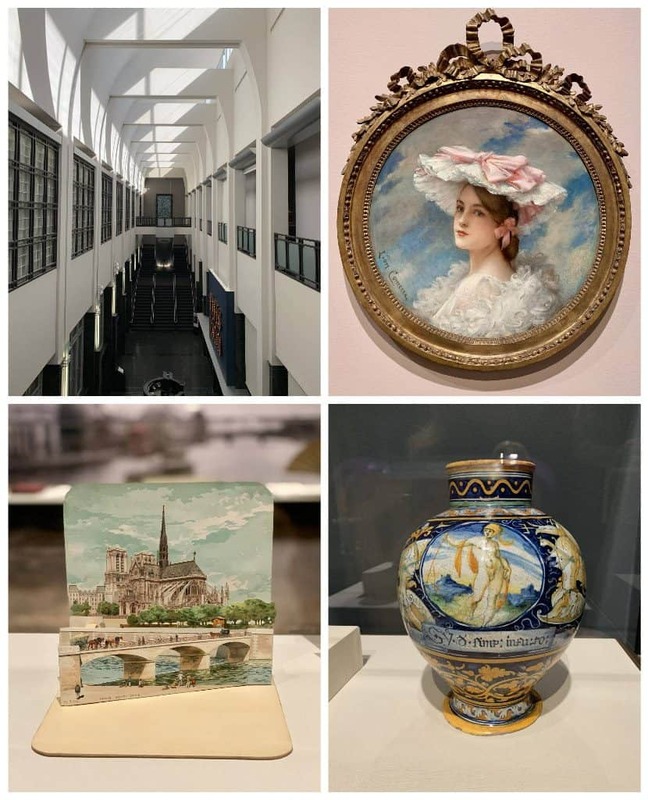 There’s seriously so much to see and do at this museum (it’s one of the largest in the world), you really need to set aside at least two to three hours to visit. 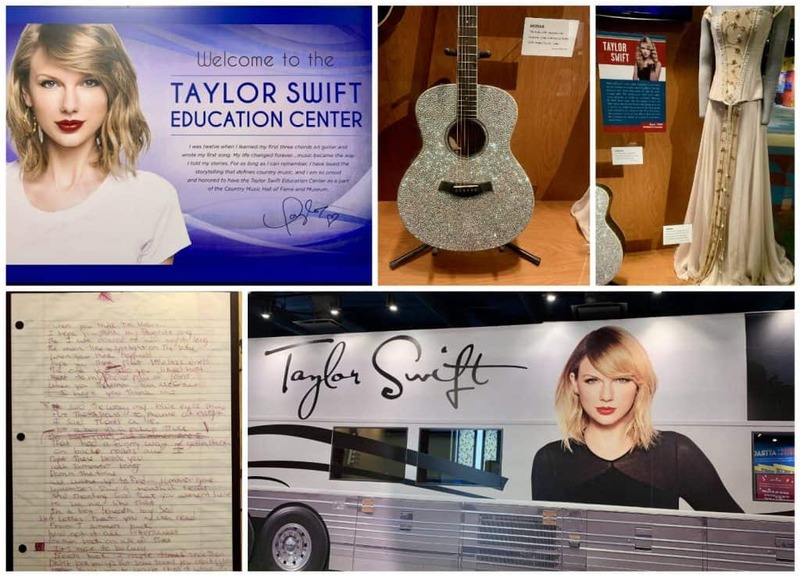 From the history of country music until present day, the memorabilia is all-encompassing, intriguing and so interesting! 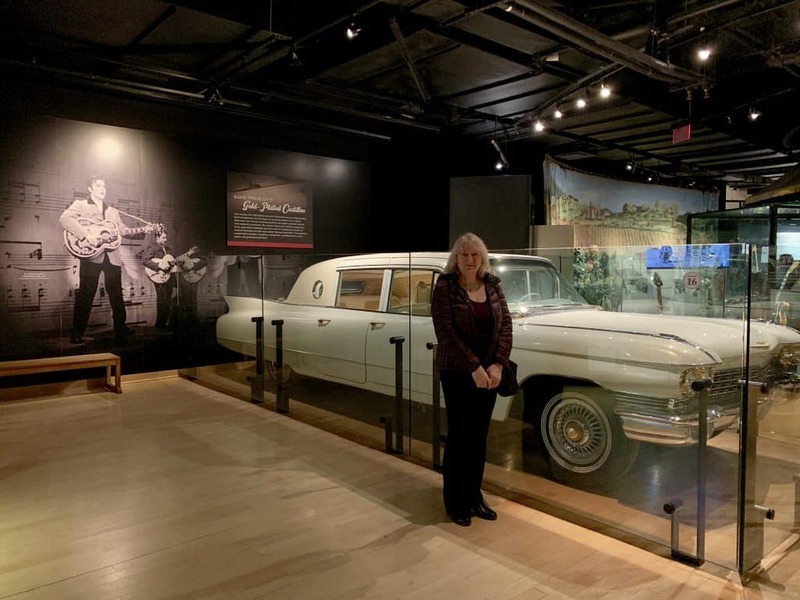 My mother has always been an Elvis fan and was so happy to see his gold-plated Cadillac. 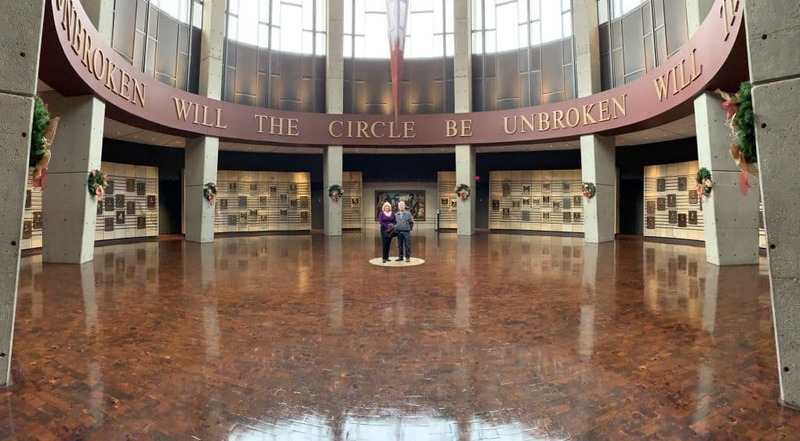 I can’t adequately describe the number of exhibits, displays, vehicles and interactive experiences that the Country Music Hall of Fame offers. I took a lot of Taylor Swift photos for my daughter who is a huge fan. My parents were over the moon after our visit and thanked me profusely. 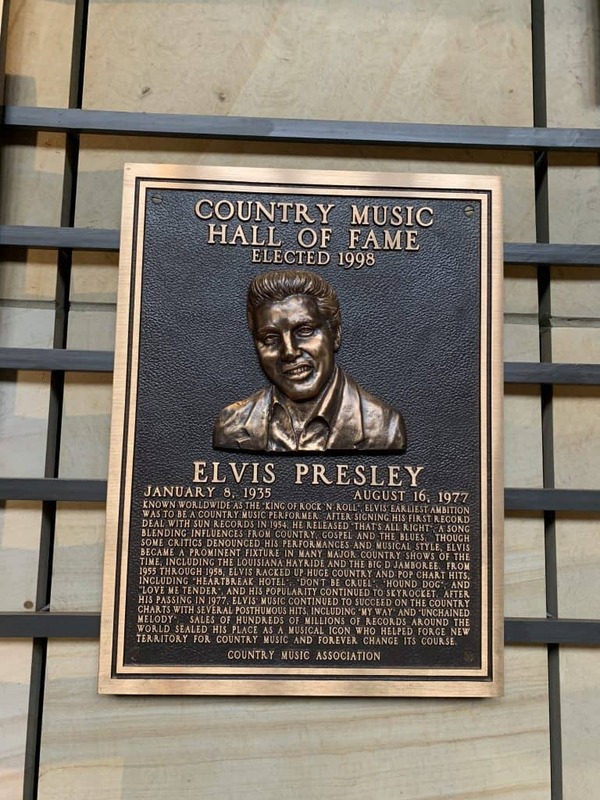 Even if you aren’t a country music fan, you’ll truly enjoy the Country Music Hall of Fame. Gail was right! Gail told me not to miss the Frist Art Museum and she was so right. 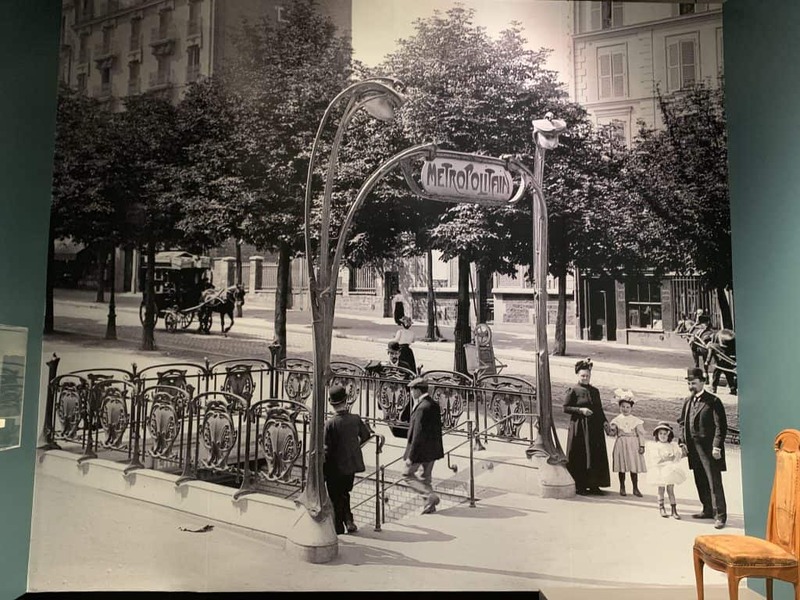 I’m glad I went to see the current exhibitions which included one called Paris 1900, which I absolutely loved. There was also an very interesting exhibition from Florence: Life, Love and Marriage in Renaissance Italy. An amazing few hours which made me feel as if I was in Europe. The museum used to be a post office and is worth seeing its architecture in its own right. 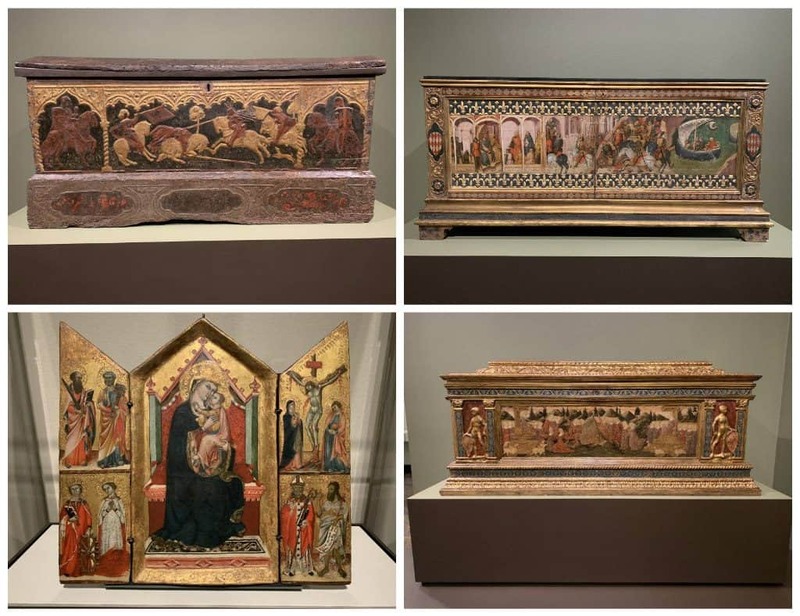 The Frist changes its exhibitions regularly, so be sure to check to see what is featured when you visit. 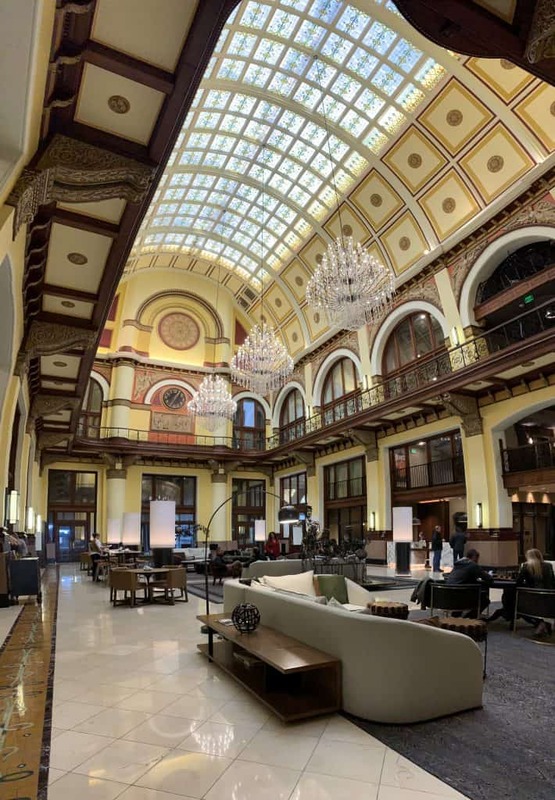 And when you leave the Frist Museum, walk across the street to check out the Union Station Hotel. 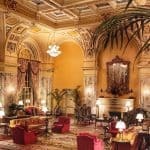 Another historic hotel not to be missed in Nashville is the Union Station Hotel. What a fantastic lobby! It was originally constructed in 1900 as the main train station for the city. It has a fabulous gothic-design including towers and turrets. The history is palpable in this hotel located on Broadway, right next to the Frist Museum. 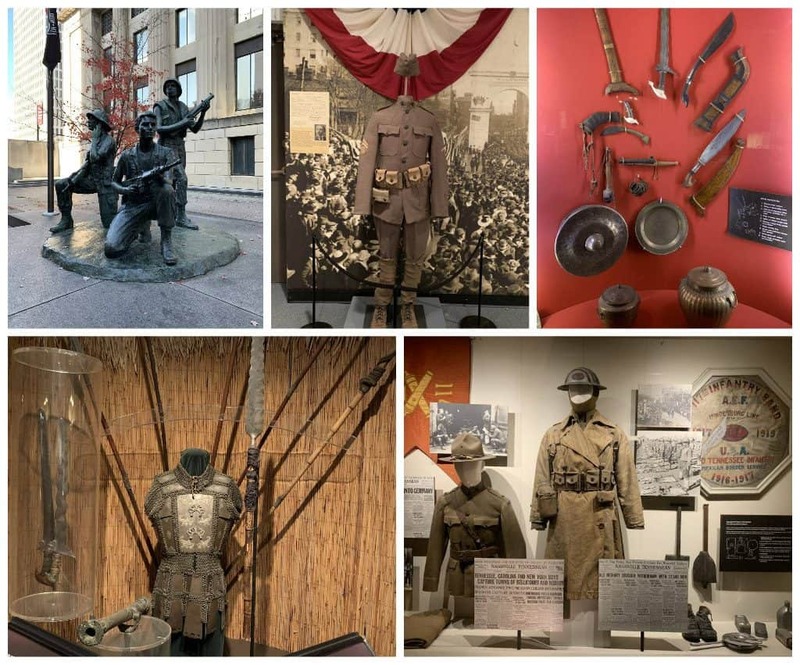 Such a fabulous collection of war-related memorabilia are exhibited here. It’s located right across the street from the Hermitage Hotel. I visited this museum twice: once on my own, then with my dad who really enjoyed it even more than I did. The admission is free, but donations are appreciated. 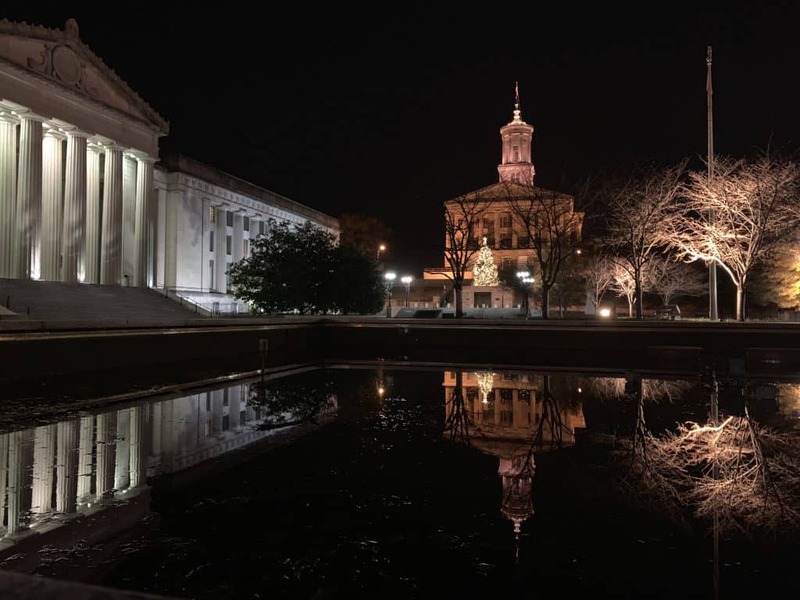 Also located right next to The Hermitage Hotel, in Victory Park, the Tennessee State Capitol building is worth a visit, both during the day, and also at night. 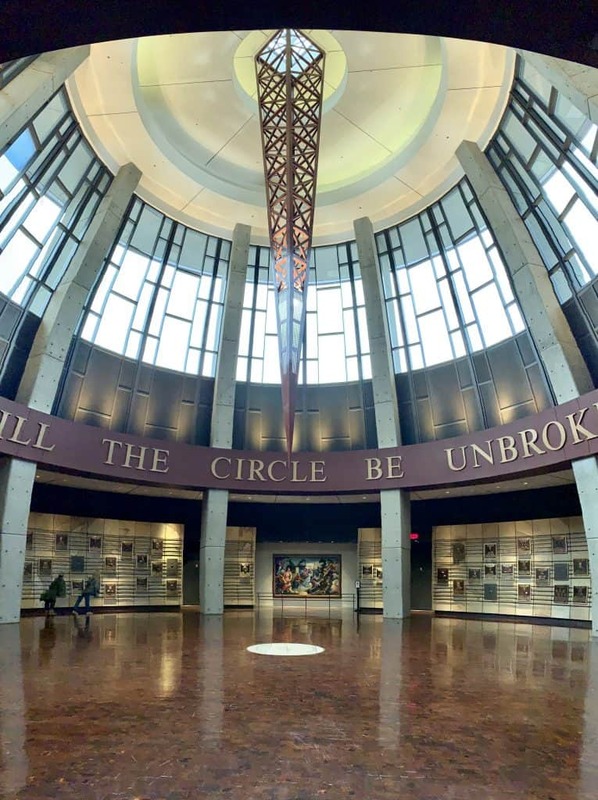 A new addition to the city of Nashville, this museum only opened in October, 2018. My parents and I visited because the friendly docent at the Military Branch Museum told us about it. 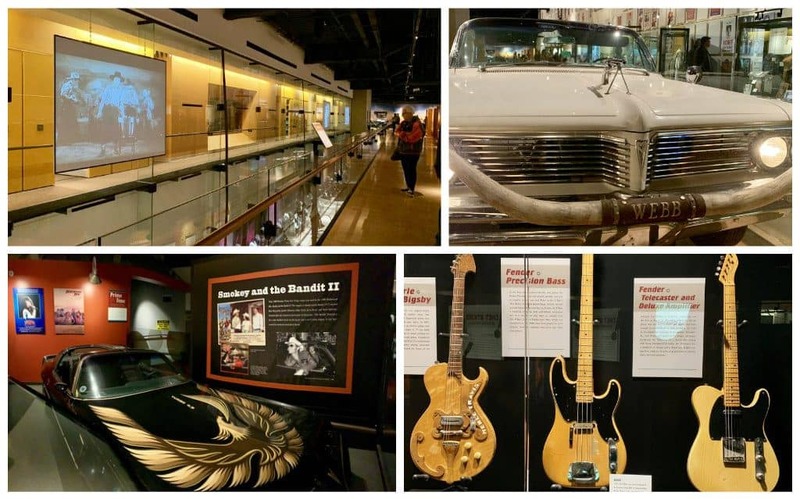 The Tennessee State Museum has an extensive exhibition of historical artifacts, art and even vehicles. Like the Military Museum, the Tennessee State Museum is also free of charge to visitors. 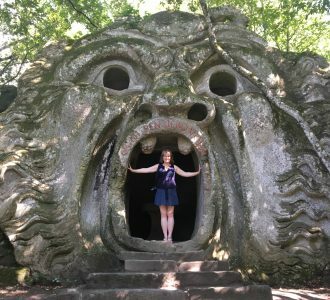 Definitely put this on your list of places to see. 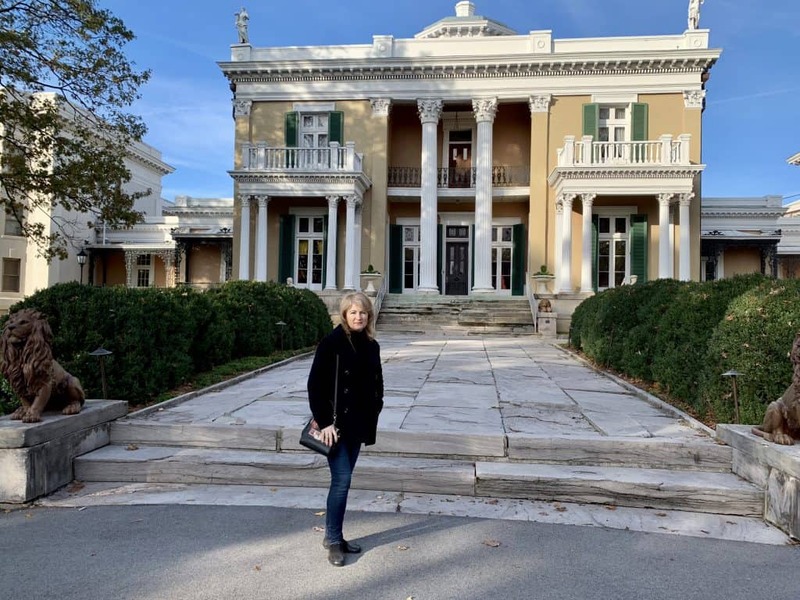 I was so happy that I was able to visit the Belmont Mansion and have a guided tour with a wonderful docent! The history that lives within this Italianate mansion, which was completed in 1853, is simply astounding. 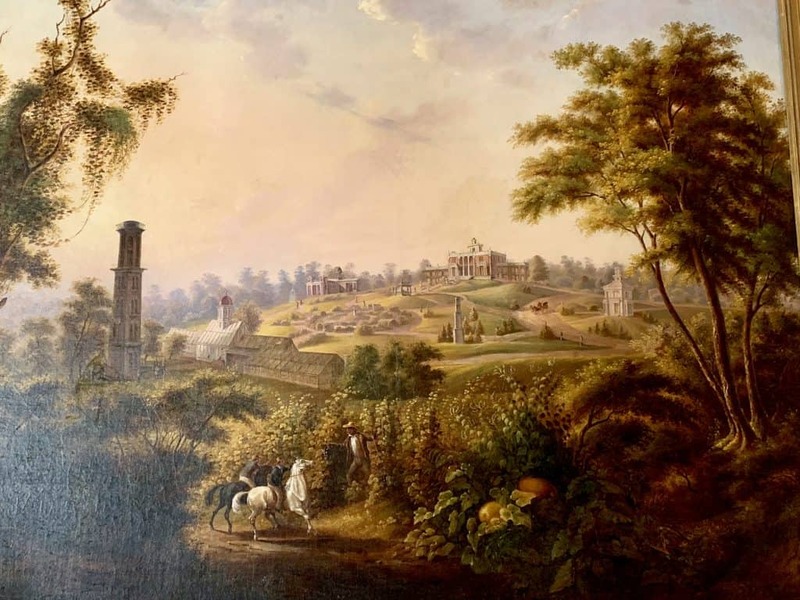 Adelicia Hayes Franklin Acklen Cheatham, a millionaire who was a woman way ahead of her time, not only had Belmont Mansion built (originally called Belle Monte), but also had outbuildings, a water tower, zoo, conservatory, art gallery, bear house and bowling alley! 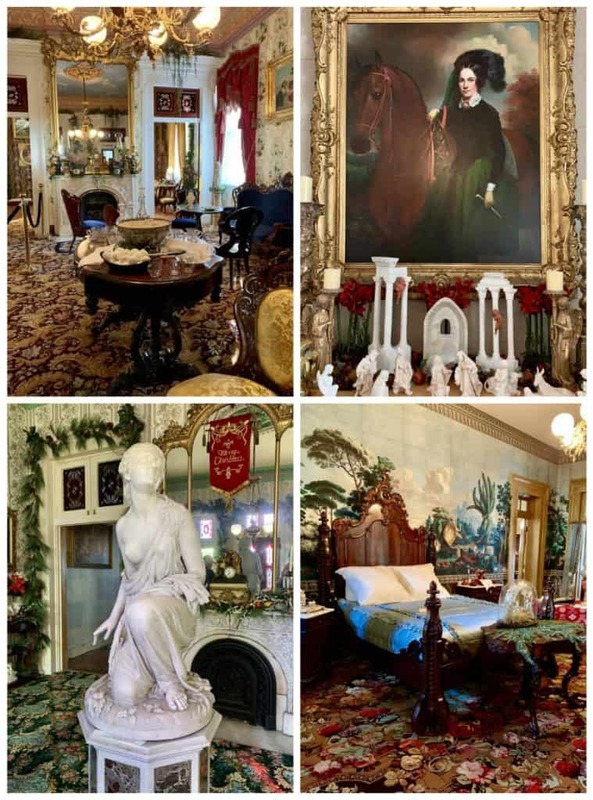 I loved touring the interior rooms and hearing how the family used them. There is a charge to visit the Belmont Mansion, but it’s well worth it, and the fee helps to maintain and run the house and museum. Although I wasn’t able take a tour of the Ryman Auditorium, I walked past it many times. 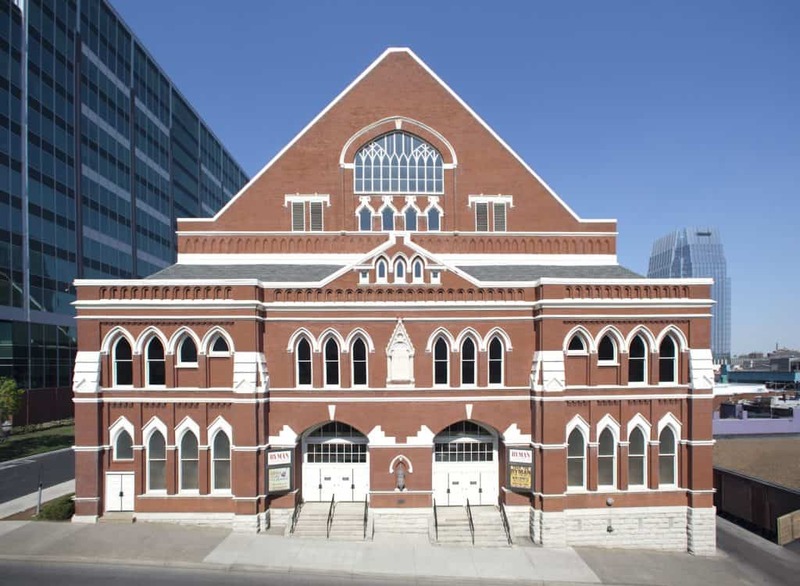 This beautiful building was constructed in 1892 and is the former home of the Grand Ole Opry. It is currently used as a concert venue and its stage has held many famous performers, old and new. Its history is quite impressive. 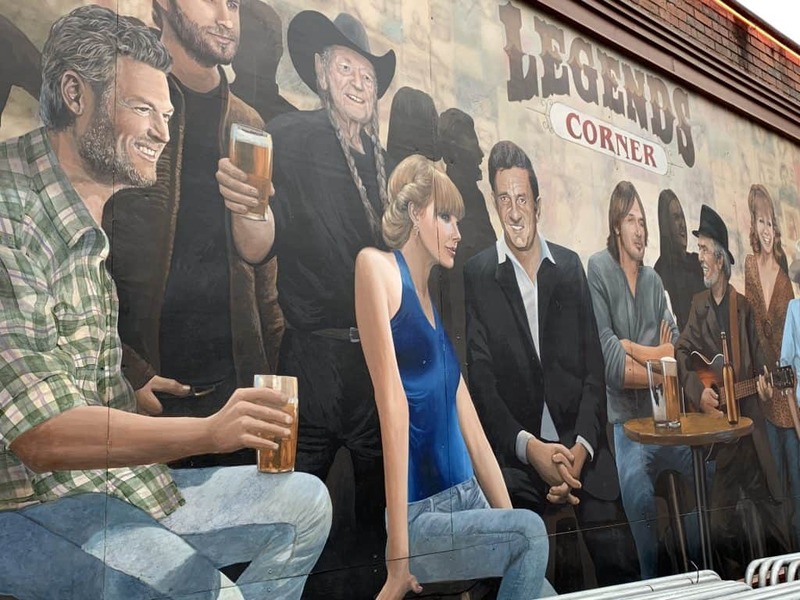 This is where you’ll find more country music bars, restaurants, lounges, and night clubs with live music than you can shake a stick at. It’s very close to the Country Music Hall of Fame. 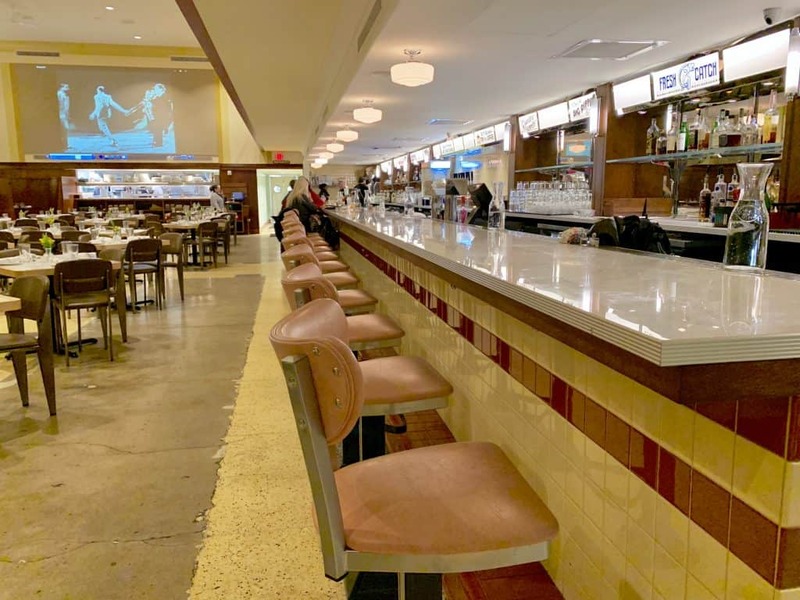 Still open for business, you can have a seat at the historic, and massively long Woolworth’s lunch counter and order something to eat or drink. Go upstairs and see the bar and some mementos from the civil rights movement which had some of its beginnings here. So much history in Nashville! There was some funky light in this restaurant which made the food look yellow and purple, so I’ve made it black and white for your viewing pleasure! That said, I had barbecue at two places in Nashville, and while both were good, I don’t feel like I would like to recommend either one of them to you. 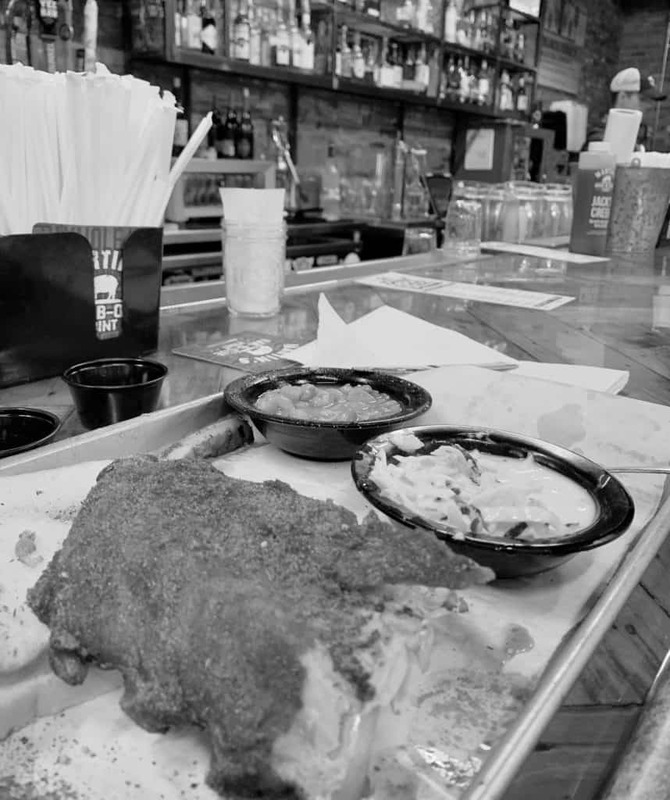 Nashville is known for barbecue, so explore and report back if you hit the holy grail! 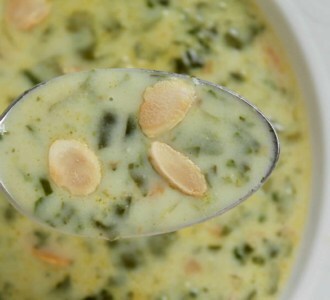 I don’t know if you know that I just refuse to wait in long queues, especially if it’s for a restaurant. 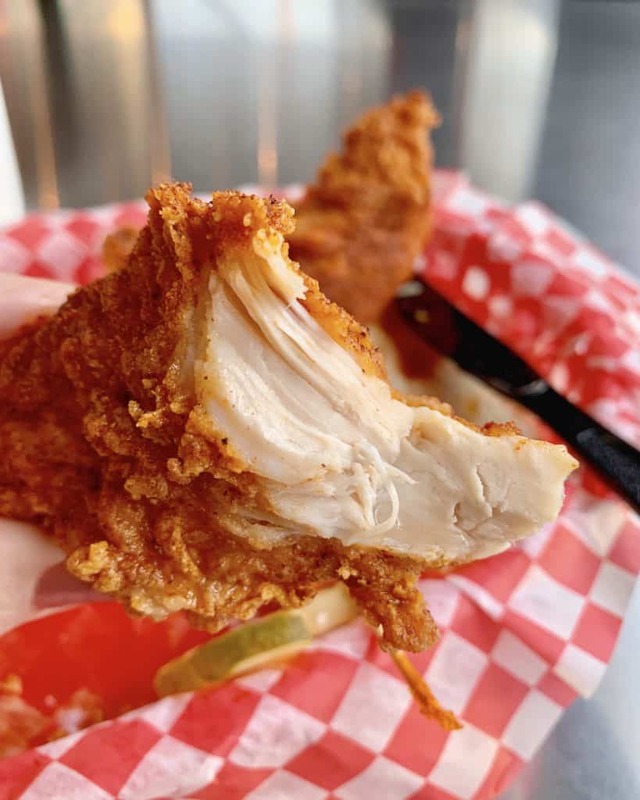 So when I heard about hot chicken, I wanted to try it, but seeing the mile-long line at Hattie B’s Hot Chicken just made me turn and walk away. When I first went, I left to go to do the Belmont Mansion tour. I returned afterwards and because it was about 3 pm, there were only a handful of people in a queue. That was manageable! Well, let me tell you, I understood why those people were waiting in line for so long! That hot chicken was fantastic! Now, if you don’t like spicy, don’t worry as there are 6 levels of spiciness, from “Southern” with no heat to “Shut the Cluck Up”, which comes with a burn notice! 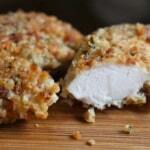 I loved Hattie B’s chicken so much that I went back the next day and stood in the long queue! I had to try their chicken sandwich before leaving Nashville; and when I brought my parents, to Hattie B’s and they loved it, too! Note: I was given another name of a hot chicken restaurant as a recommendation several times as “the best” hot chicken in Nashville, so I went to one location to give it a try. However, the lack of cleanliness of the restaurant led my parents and I to walk inside, turn around and promptly walk out. I don’t care how good something tastes, if the conditions are unsanitary, I’m gone. Although my friend, Gail, had told me that Biscuit Love had come highly recommended, she said that she didn’t have an hour to stand in a queue for biscuits. I’m with Gail! After leaving the Country Music Hall of Fame, my parents and I happened to pass by another biscuit-centric restaurant called Rise Biscuits & Donuts. Everything looked good, so we gave it a try. We loved them! 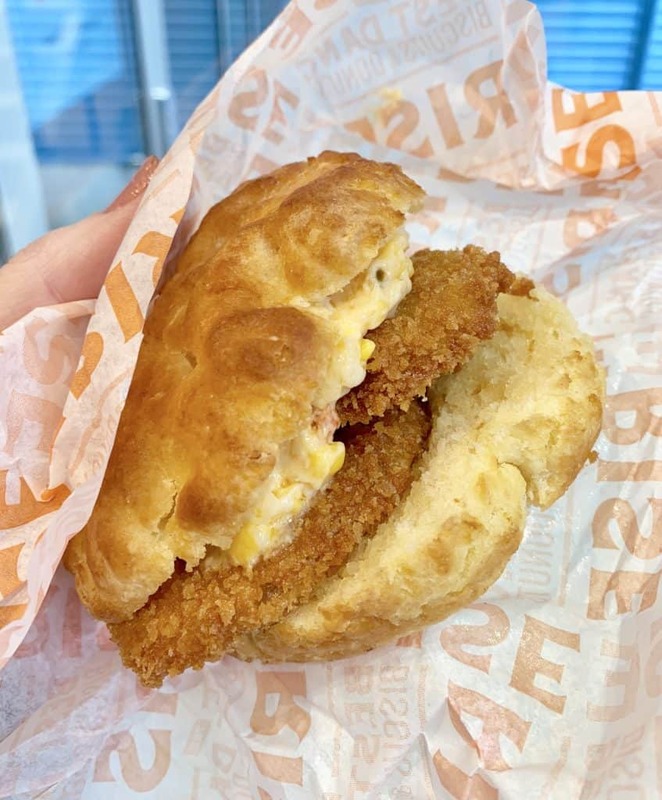 I had the fried green tomato biscuit and my parents tried the breakfast biscuit with egg and we all agreed: we’d definitely go back for more biscuits at Rise. 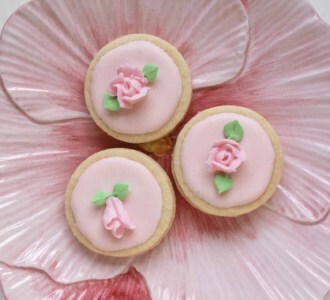 We also tried a sweet peach biscuit which was so good, it made me want to try to re-create it at home. 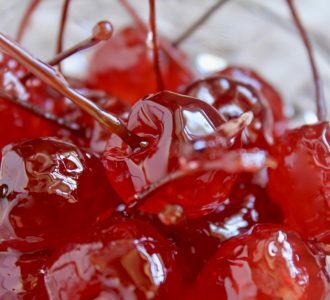 Deliciously different! This is the other place I didn’t get a chance to see inside. This unique church is designed in a Egyptian revival style. 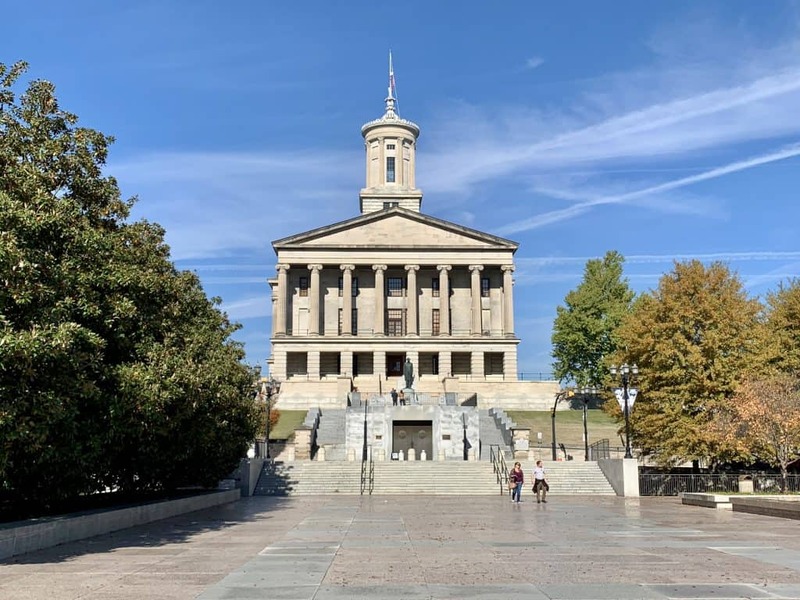 It was built between 1849 and 1851 and is a national historic landmark in Nashville due to its outstanding architectural style. 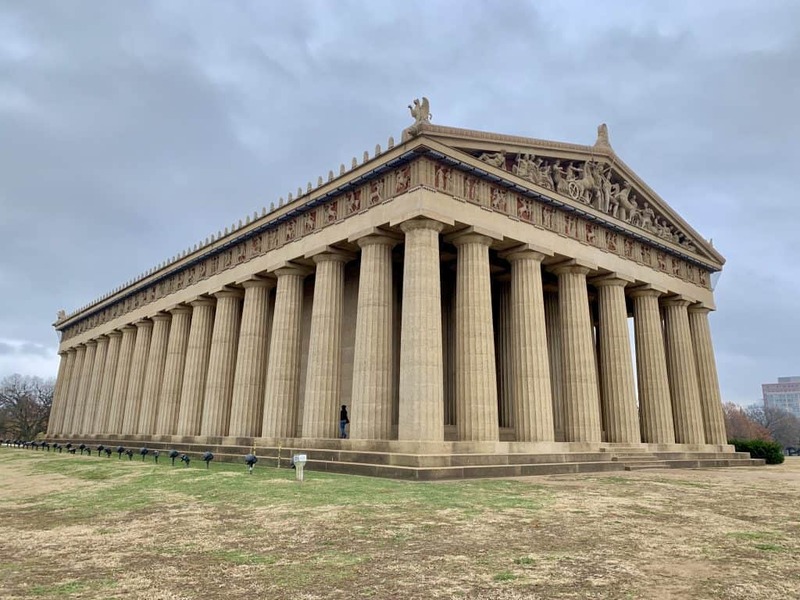 Built in 1897 for Nashville’s Centennial Exposition, this copy of the Parthenon in Greece is the only full sized replica of the original in the world. It is located in Centennial Park and houses Nashville’s Art Museum. This map contains all 16 places on my list above, for your convenience. I hope you enjoyed my suggestions for 16 things to do, see and eat in Nashville! I didn’t know Woolworth’s lunch counter still existed! What fun. And that hotel is worth going to Nashville for alone! Absolutely, Cathy! Even if you just stayed in the Hermitage and never left! haha! Yes, the Woolworths was such a nostalgic stop! I had no idea there was so much going on there other than the music scene. I don’t know what ceiling is more impressive, The Hermitage or the Union Station. Gorgeous! Looks like another super fun time that you definitely made the most of. 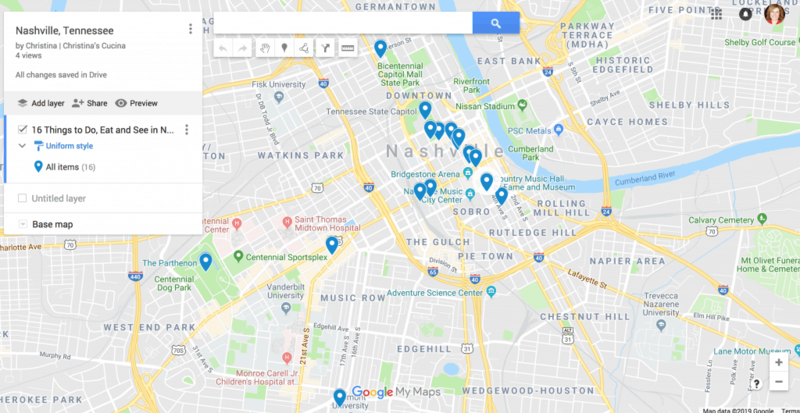 A surprising number of things to see and do in Nashville, even for those of us who aren’t country music fans. And there are even more things to see and do! I’m definitely chomping at the bit to return! 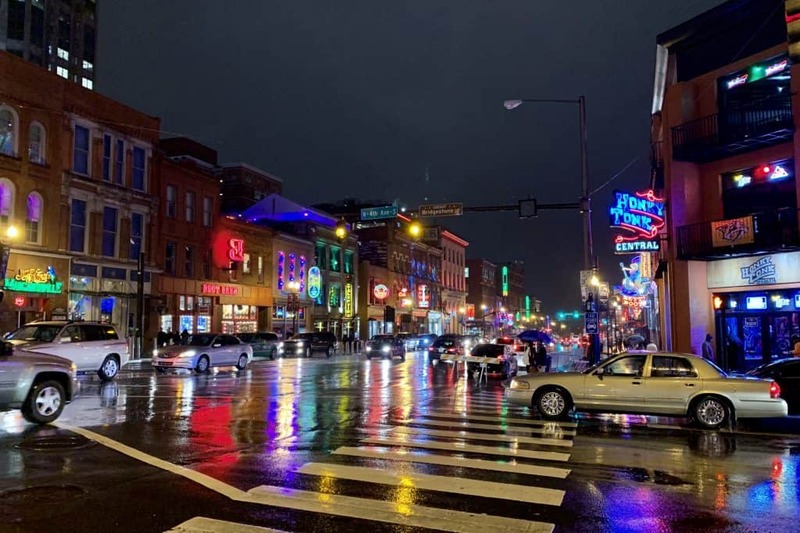 What a pleasant surprise; seeing the true Nashville and not the grotty image, that I had of cheap Honky-tonk bars and dives. There is a lot more culture than I ever imagined. I’m glad to be proven wrong. I also expected all the food to be *very spicy * which I can’t tolerate. I was so glad that you could get a choice of spiciness from non-existent to very spicy. Perhaps, I should put Nashville on my *bucket list.*? 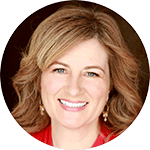 This is an outstanding first timers guide to Nashville Christina! Definitely bookmarking for future reference as we’re hoping to do a loop through the South – if not this year than next! Loved the hotels and THAT chicken!!! Wonderful to hear, Nancy! I do hope you’re able to hit Nashville on your loop; well worth visiting! Thank you! I have been there only once, I want to go back, hopefully soon! I love the Hermitage hotel and would stay there again. You certainly packed a lot into your Nashville trip. We loved the city especially the live music in the bars and restaurants. We really noticed a changed in the music on our road trip as we headed north from New Orleans, though Memphis and up to Nashville. If we’re lucky enough to go back I’ll be printing off this post and taking it with me! I did, Suzanne! Yet, there’s still so much that I haven’t seen, done or eaten! :) Time to go back already!